Not long to go now until our first World Distance Championship. I am very excited! Please find attached the Agenda for the International Va'a Federation Annual General Meeting. There will be further documents to follow within the next week for your review, should you have any questions please do not hesitate to ask. Please confirm your attendance and the name of your one (1) representative who will be at this meeting to Linda by 20 June. We look forward to having representation from all of our member countries present at this meeting. 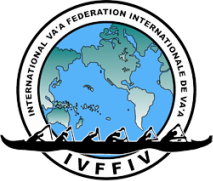 The International Va’a Federation Annual General Meeting was held in Honolulu, Hawaii from 10-12 October. The meeting was very positive and uplifting, with a number of great discussions from member delegates from all over the world. The board would like to thank Jerome Friedrich (Germany) and Nicolas Bourlon (Brazil)for their service to the IVF and also congratulate the newly appointed officers of the IVF. Below are a few photos of the delegates from the 2016 AGM which included a sunrise paddle with Nappy Napoleon and his club Anuenue. Thank you to all attendees, for your time and input into the meeting.